Good side dishes can be hard to find. So if you’re stuck in a rut and wanting to try something new, here it is. This came from my mom and she’s made it my entire life. And I’ve always loved it. 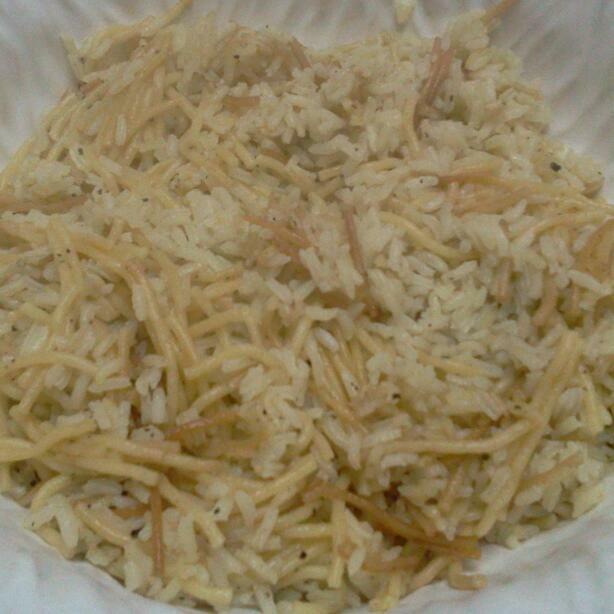 It’s quick, easy, and not just your regular plain white rice. I make it on a regular basis and it’s a family favorite. Add butter to a smaller pot. 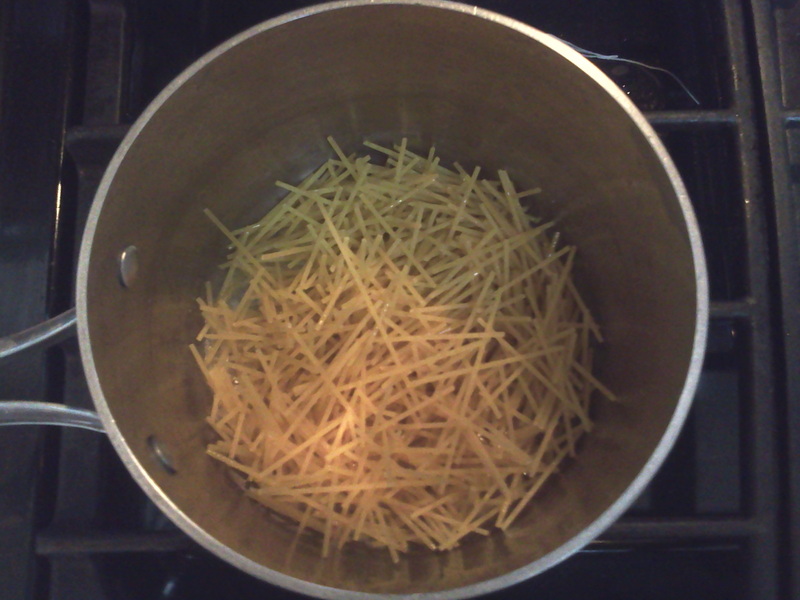 Let melt on medium heat and add in the broken up pasta. Cook and stir for a few minutes until it starts to toast up. Don’t let it burn! 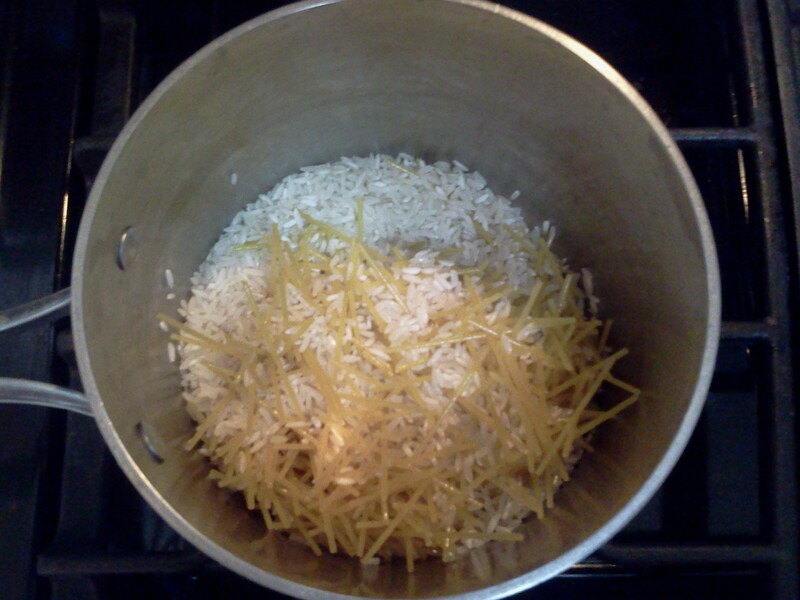 Add in the white rice and stir together. Pour in the chicken broth and add salt and pepper. Bring to a boil and then reduce heat to simmer (low), covering with a lid. Let cook for 20-25 minutes. 23 minutes on my stovetop is the magic number! Stir together and serve immediately. I love a good bowl of soup for dinner. It’s just so comforting and filling. 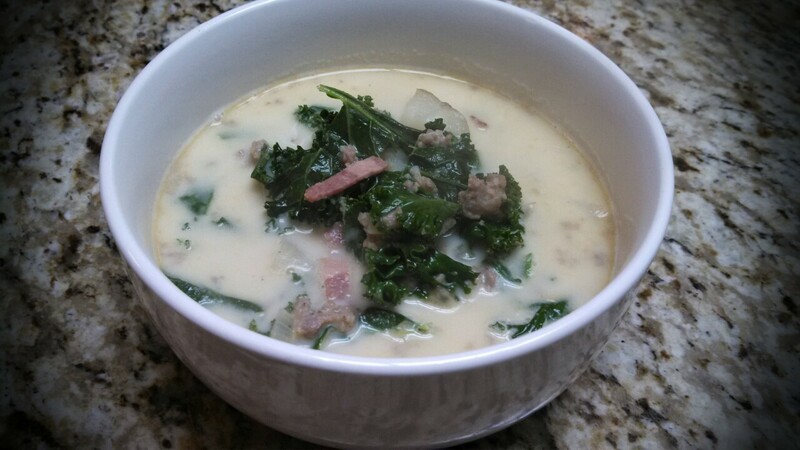 I typically make the same soups over and over because they’re just so good, but I wanted to try something different and came across this recipe. 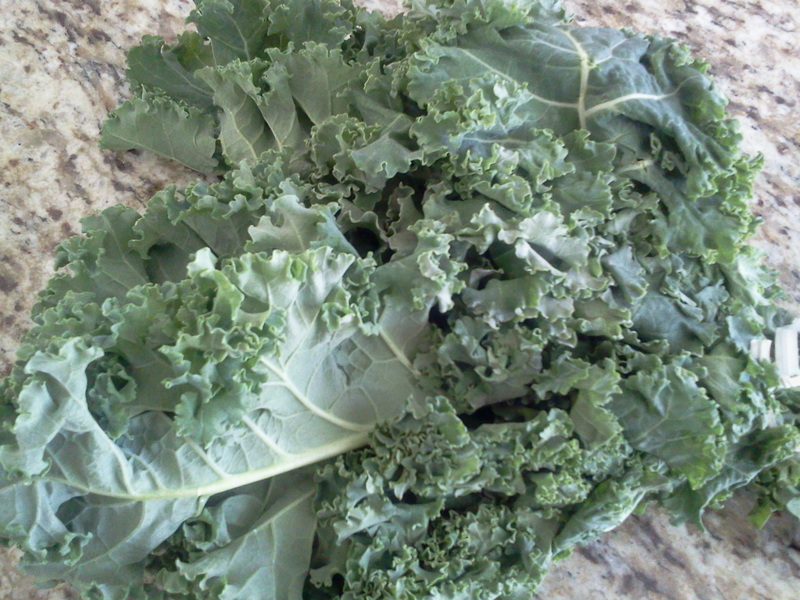 It has kale in it, which I’m a big fan of. It’s a super food! It’s so good for you, and it tastes really good in this soup. Enjoy!!! Add onions and bacon into the Dutch oven. Reduce heat to medium and cook until onions are clear and the bacon has crisped up. Add minced garlic and cook for 1 minute. Slice potatoes in half lengthwise and cut into smaller chunks. Add chicken broth and potatoes to the Dutch oven and simmer for 15 to 20 minutes until potatoes are almost done. Add remaining ingredients, as well as the sausage and simmer for 5 more minutes. Then it’s time to eat up! *The original recipe calls for spicy breakfast sausage. However, to satisfy my kids’ needs, I used regular pork sausage and added red chili pepper flakes so I could control the spice level. If spice is not an issue, use the spicy breakfast sausage instead. 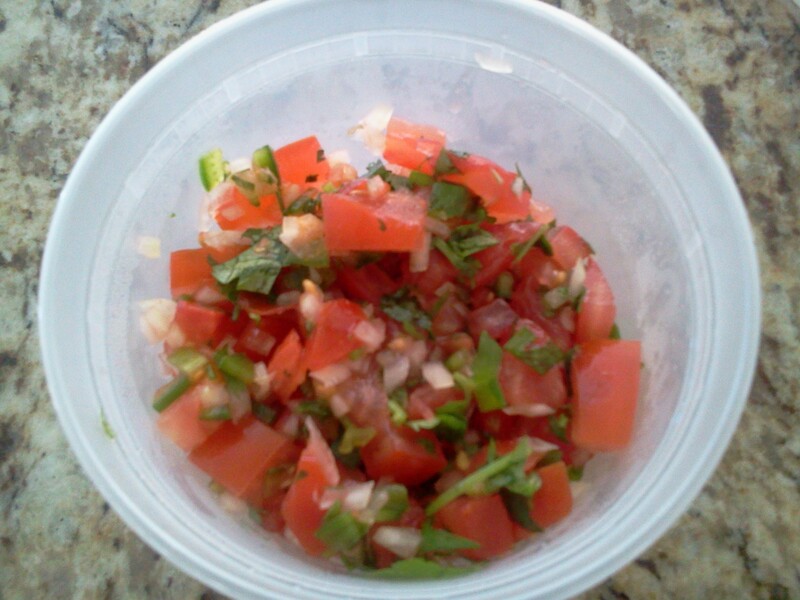 I created this recipe because I had leftover pico de gallo and I wanted something different! 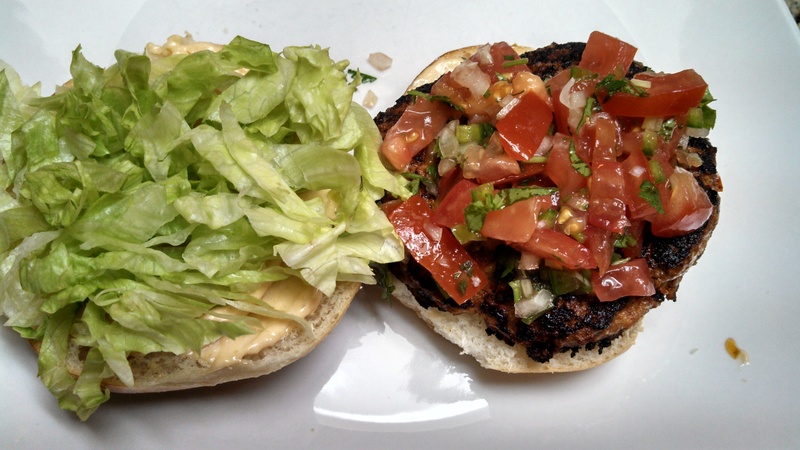 I had everything to make burgers and I really wanted that pico on it. I kept thinking of Mexican flavors and thought of trying a chorizo burger. Luckily, it was a hit! Even with the kids. We hadn’t had chorizo in a long time but this really had all the right flavors. And this chorizo recipe would also be great for breakfast, cooked with some scrambled eggs. Ay yay yay! Preheat your oven to 300 degrees. Pull off the stems and remove the seeds from the chilies. Bake in the oven for approximately 5 minutes. 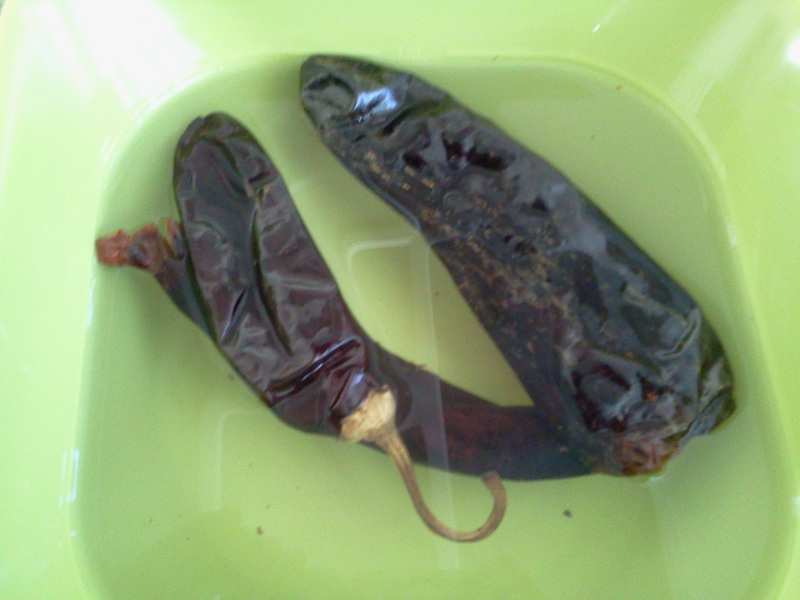 Place chilies in a bowl and pour hot water over them. Let sit for 20-30 minutes. Remove the chilies from the water, reserving the water, and place chilies into a blender, along with the vinegar, onion and garlic. Add 2 tbsp. of the leftover chili water as well. Blend until smooth. Pour the chili mixture over the meat, and add the seasonings. Mix well and refrigerate. This can be made ahead of time or right before it’s time to eat. Mix together the mayo and the adobo sauce. If you like it spicy, add 1 chipotle. But if you have kids, I recommend just the adobo sauce. It’s more of a smoky flavor rather than spicy. Refrigerate until ready to use. As for the pico de gallo, it’s very simple. If you choose to make it at home, it just requires some chopping. Mix together, cover and refrigerate. Spray a griddle with cooking spray and heat on your stovetop, medium heat. You can also do this on an outdoor grill. While this is heating, make your patties. 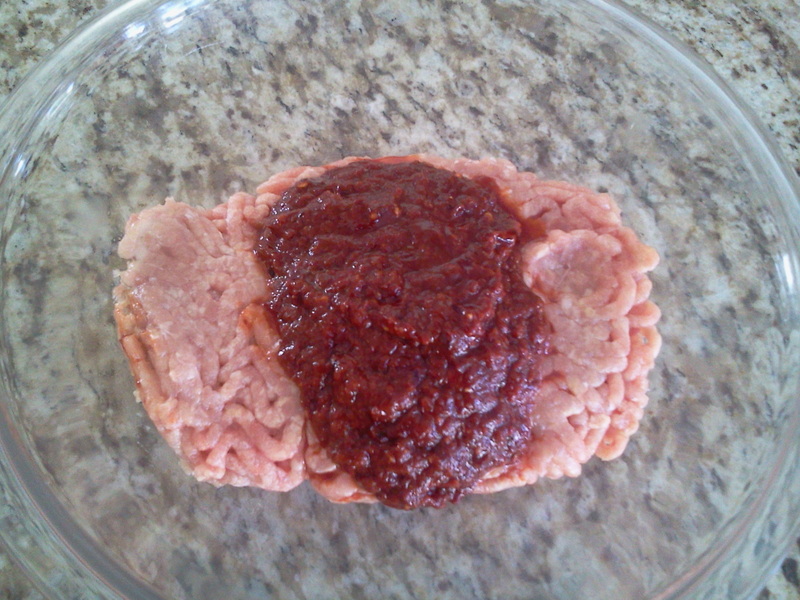 Just divide the meat evenly into five balls and shape into patties. If you use chicken like I did, it’s more of a wet patty and holds together better when cold. 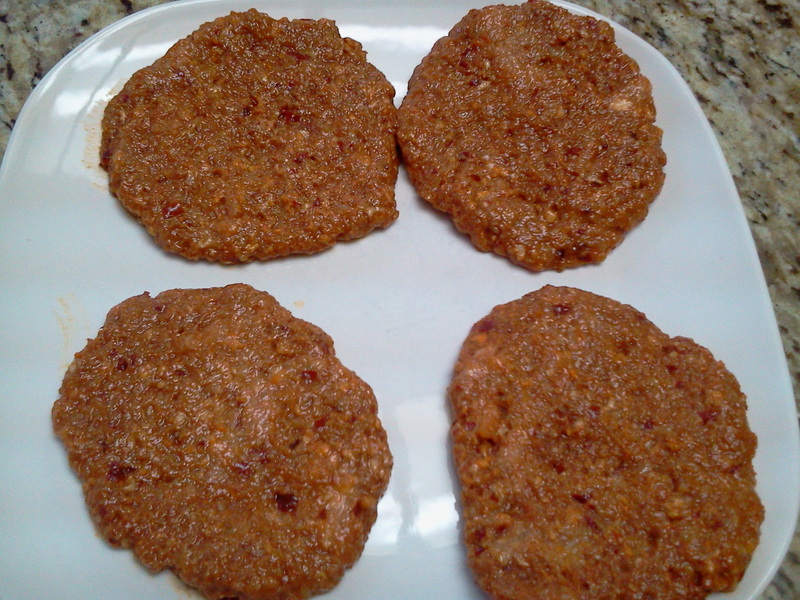 Place patties on griddle or grill and cook for 4-5 minutes per side. Toast buns and spread chipotle mayo on both sides of bun. 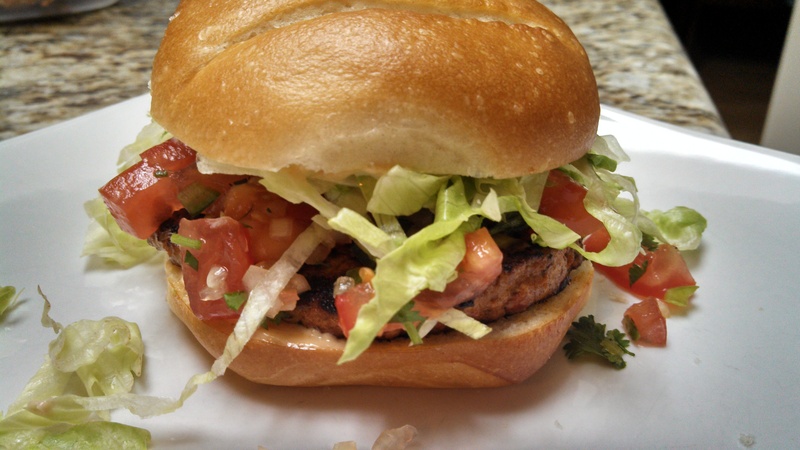 Place chorizo patty on the bun, top with the pico and place shredded lettuce on the other side of the bun. Put together and now it’s time to stuff your face! *If you want cheese on your burger, just add a thin slice of cheddar cheese (or whatever type of cheese you fancy) after you’ve flipped your burger over. Honestly, this burger is so full of flavor that you really don’t need the cheese. Brussel sprouts are little gems of deliciousness. They have quickly become one of my family’s favorite veggies. So I was really excited when I saw my brother-in-law making them as a side for Christmas dinner. And they were really tasty. I’ve always baked them in the oven and although very yummy, that recipe takes 45 minutes and requires me to shake the pan every 5-7 minutes. This recipe is so much quicker and so very good that it’s a must try. Heat a sauté pan on medium. When heated, add bacon pieces and cook until crisp. Using a slotted spoon, remove bacon to a paper towel to drain. Very important, LEAVE all that wonderful bacon grease in the pan. 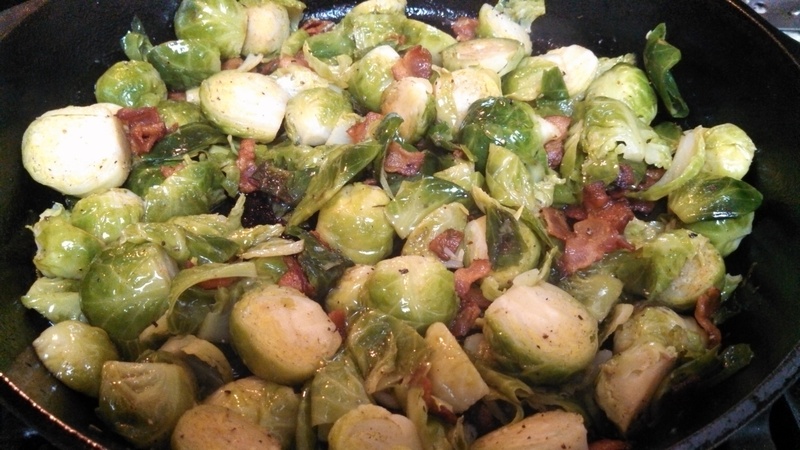 Add the brussel sprouts and sauté for a few minutes, until they are browned. 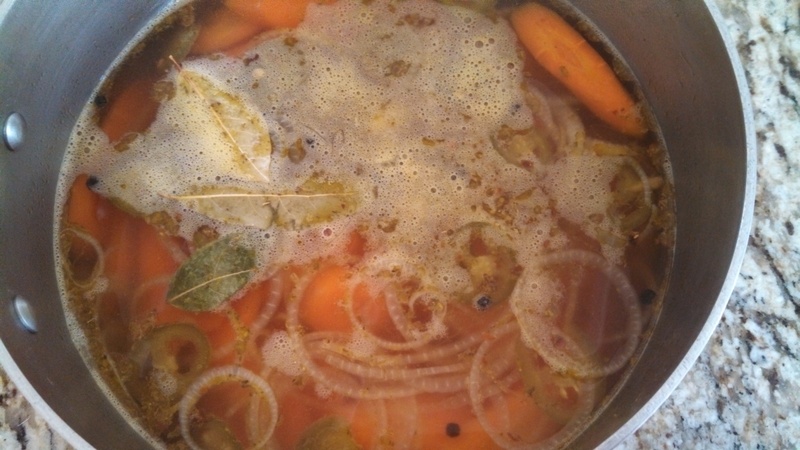 Pour in the chicken broth and reduce heat to medium low. Put a lid on, leaving it a little to the side for steam to escape. Let cook for 5-7 minutes. Remove lid and sprinkle with brown sugar and pepper. Add the bacon back in. Stir to melt the sugar and eat! 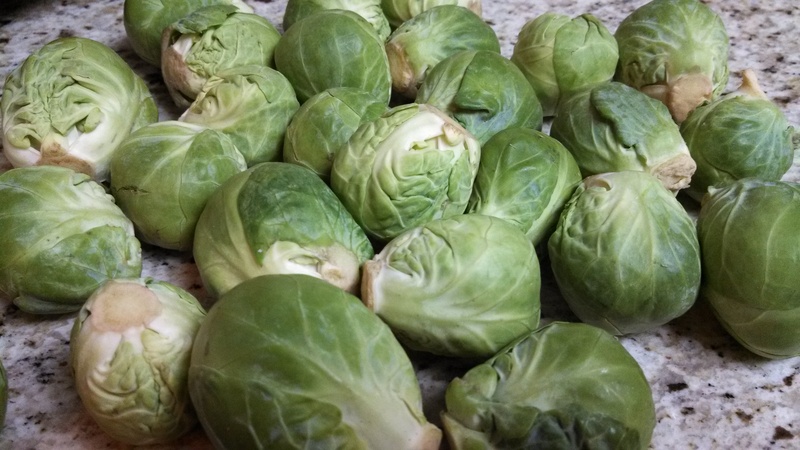 I’m pretty sure you will inhale these scrumptious brussel sprouts!! It’s a little cold out for most people right now, but that doesn’t mean you can’t grill. I live in Southern California, so we can pretty much fire up the BBQ any time of year. However, sometimes I like to use my grill pan indoors, and for those of you experiencing a frigid winter, take this tip and grill inside! Grilled asparagus. Super easy, super simple, and so flavorful. 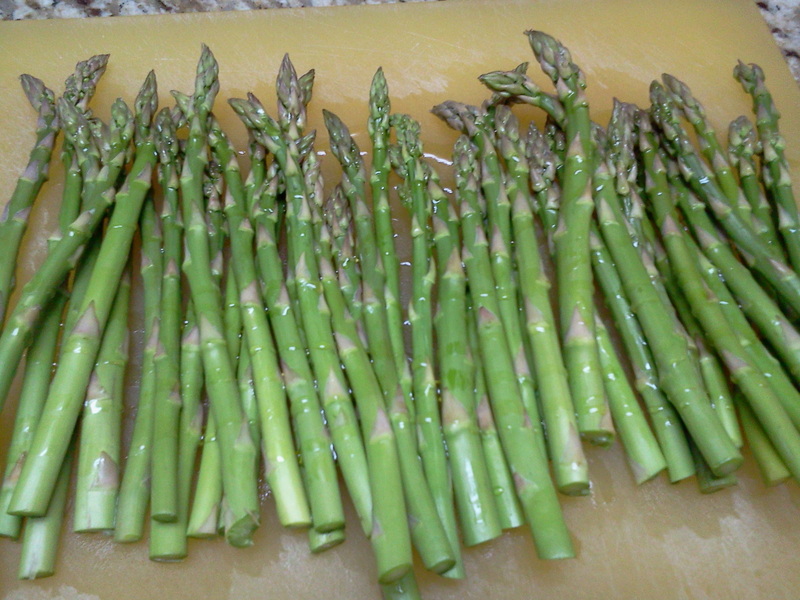 My kids are not partial to asparagus because of the after effects….if you know what I’m saying. But they ate this! And I definitely like asparagus prepared this way much better over steaming. Heat a grill pan (I used cast iron) on your stovetop over medium high heat. If using cast iron, they take a bit longer to heat up. 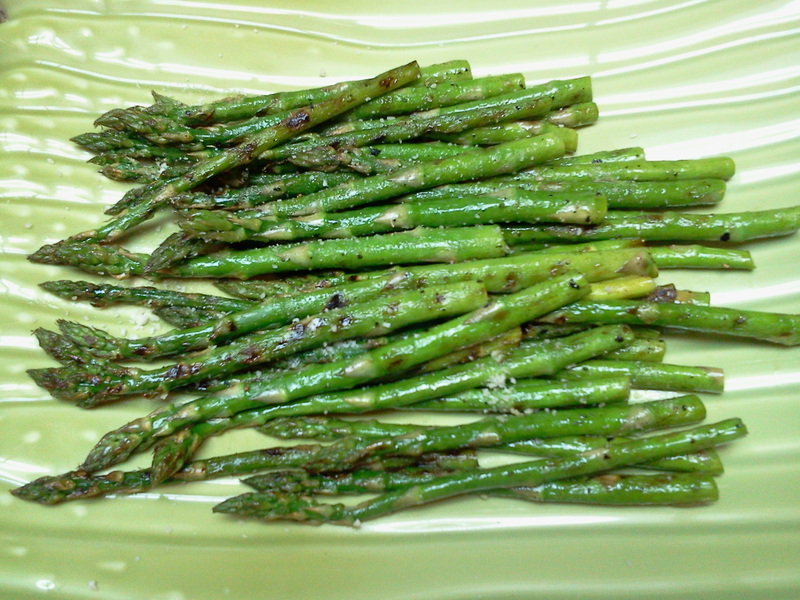 Sprinkle asparagus with olive oil and season with salt and pepper. When the grill pan is hot, add the asparagus. 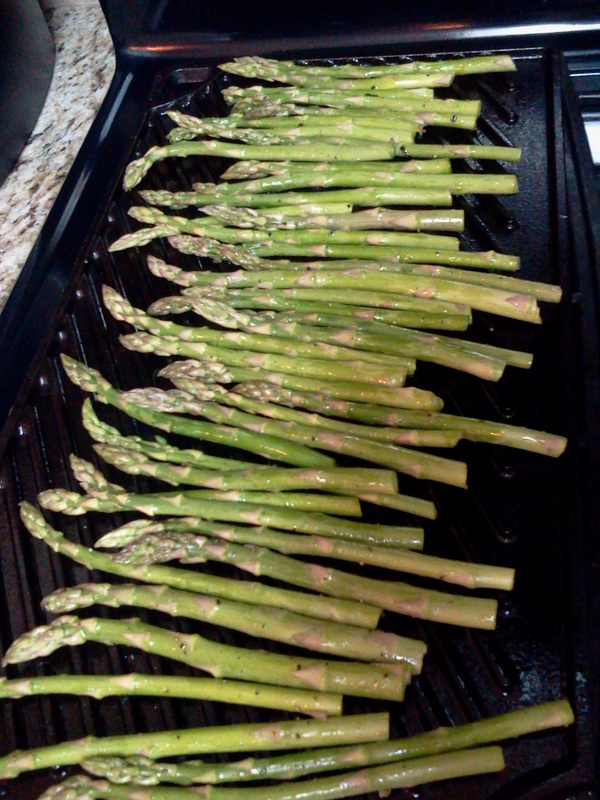 When the asparagus gets nice grill marks, turn over and cook the other side. I kind of just move mine around a bit on the pan to make sure the asparagus gets evenly cooked. I like my asparagus crisp tender so I didn’t cook mine long, maybe 5 minutes total. The skinny kind cook up much quicker. Transfer asparagus to a plate and sprinkle with parmesan cheese. *You can use a microplane hand grater to grate your cheese. If you don’t have one, you can use a box grater or the parmesan cheese in a container is fine too! One word to describe these fried shrimp? Yummy. Wait! Another word? Crunchy! Okay so that’s two words, but if you like yummy and crunchy shrimp, then TRY THIS. I seriously cannot wait to eat this again. Peel, devein, butterfly and rinse the shrimp. If you’ve never done this before, it’s easy but takes time. Don’t know how? I’ll try my best to help you out. Slip your finger under the shell and gently pry off. 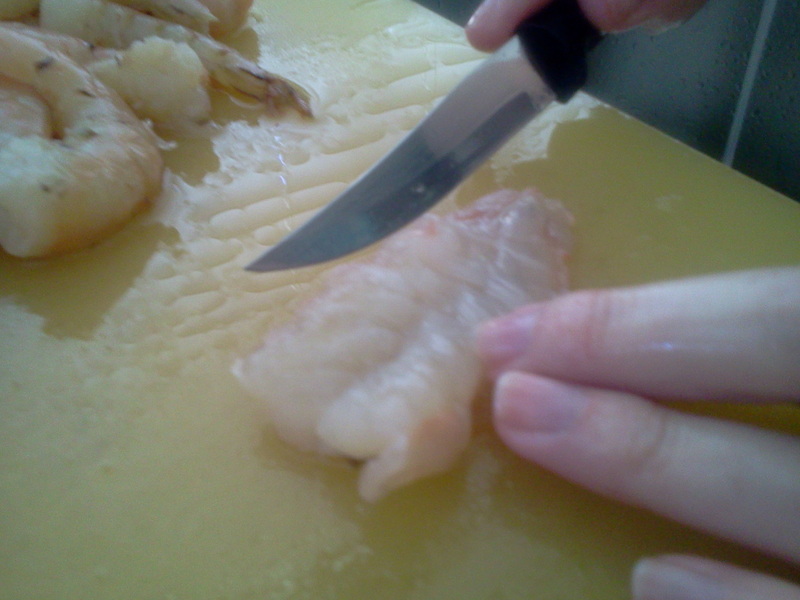 Take a small knife, run it down along the length of the entire top of the shrimp, cutting about halfway into the shrimp. Scrape out the nasty stuff. You’ll see it, sometimes it’s a pale peach color, brown or black. 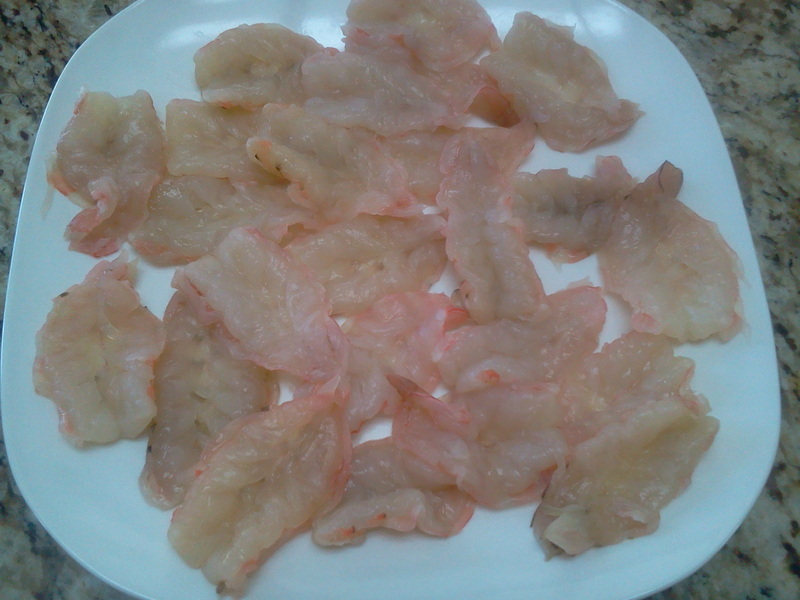 After you take that out, you can lay the shrimp on the cutting board and gently press it down to flatten it. Just make sure you don’t cut all the way through or else it won’t be butterflied, it will be in two pieces and that’s what you don’t want. 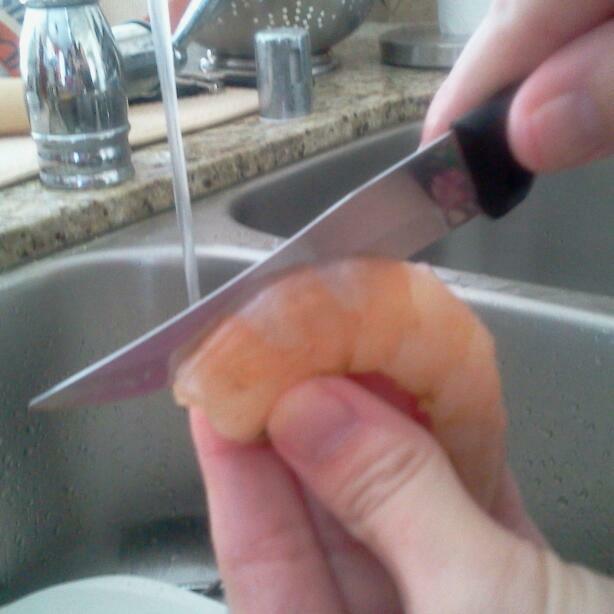 Rinse and dry the shrimp. Heat a skillet (again I used my cast iron) filled with oil on medium to medium high (about an inch up the sides). This is a shallow fry. While this is heating up, mix together your batter. Add the flour, sugar, cornstarch and cold water to a bowl. Using a fork or whisk, stir until combined. 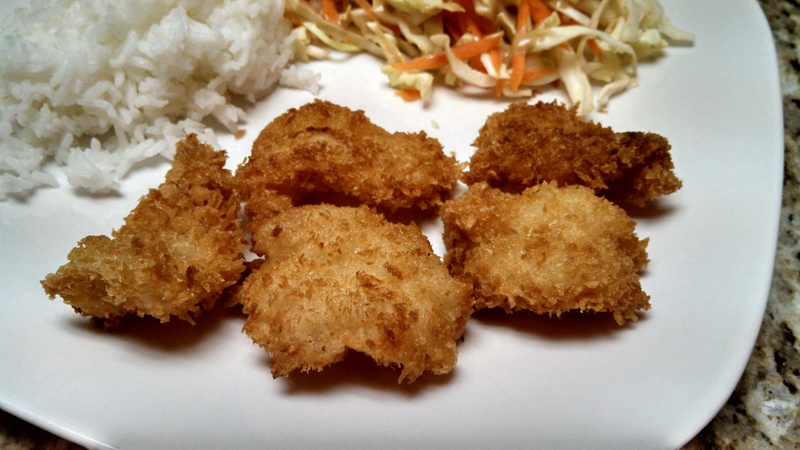 In a shallow dish, mix together the panko, white pepper and garlic powder. Here’s how it goes. Take a butterflied shrimp and dip it into the batter. This is a loose batter so not much will stick. 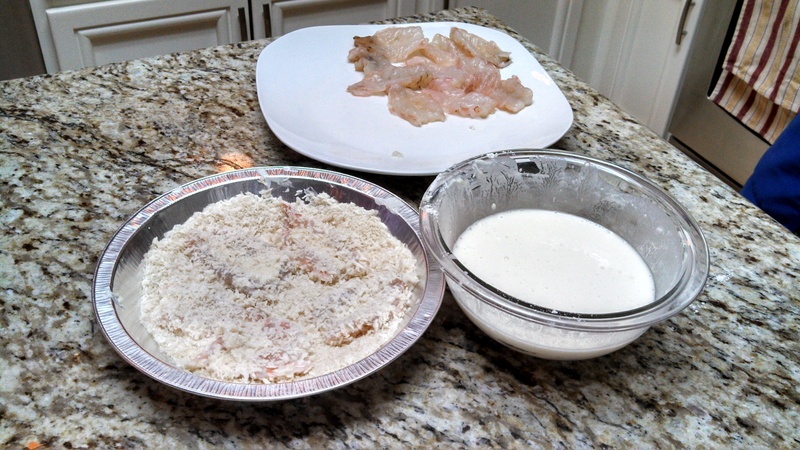 Then press the shrimp into the panko, making sure to coat both sides. That’s what you will do for each shrimp. When the oil is ready you can start frying. 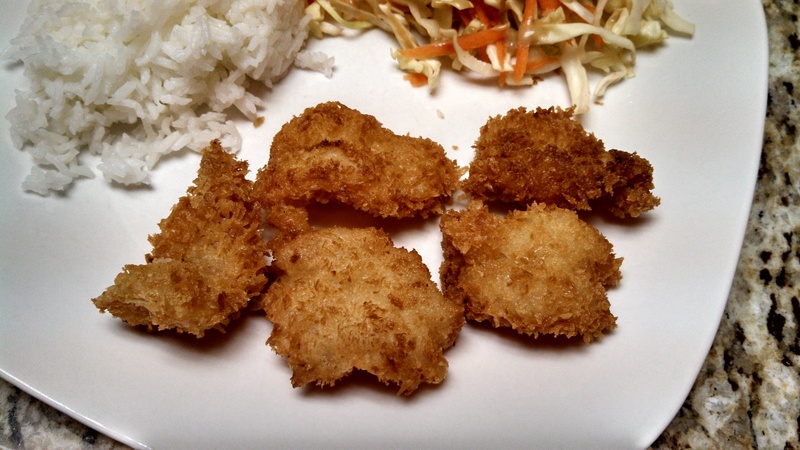 To make sure oil is hot enough, you can drop some panko crumbs in there and if they sizzle and brown up, it’s ready. If the oil is smoking, it’s way too hot. 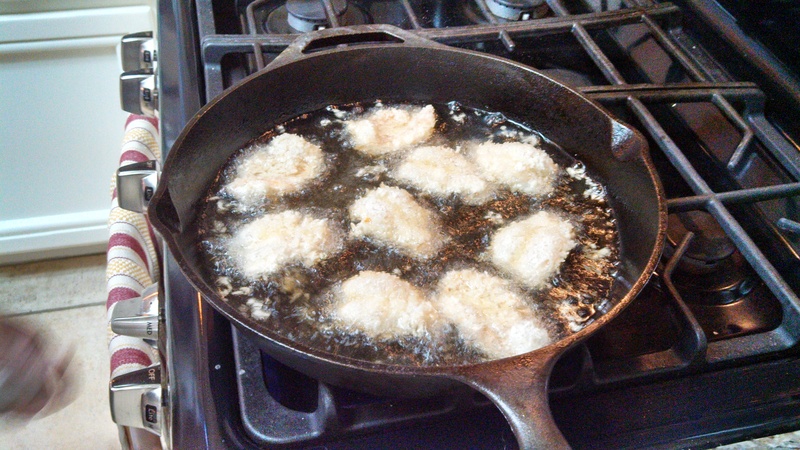 If you’ve fried before, you’re familiar with how it works. That little blur to the left? I think that’s a puppy face in motion. Gently lay the shrimp into the hot oil. It only take 2-3 minutes per side. Turn the shrimp over when the underside is a nice golden brown. The other side will fry up even quicker. Drain shrimp on paper towels and serve immediately. I served this with sweet chili sauce and it was in my opinion (and my husband’s) the perfect compliment to the shrimp. I also think sweet and sour would be a great choice as well. This shrimp was served along side some white rice and cabbage salad with peanut & sesame dressing. OMG. Yes, it was that good. Ever had those carrots at a taco shop? If you have, then you know what I’m talking about. If you haven’t, WHY NOT?!? They are so good! And you’ve been missing out. 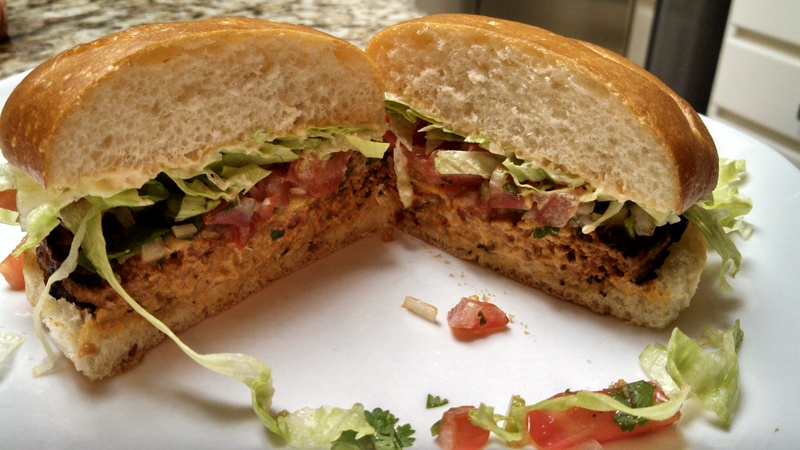 Spicy, tangy, and at some places, crunchy. Most taco shops I’ve had them at lean towards the softer side, but I prefer them to have a slight crunch. 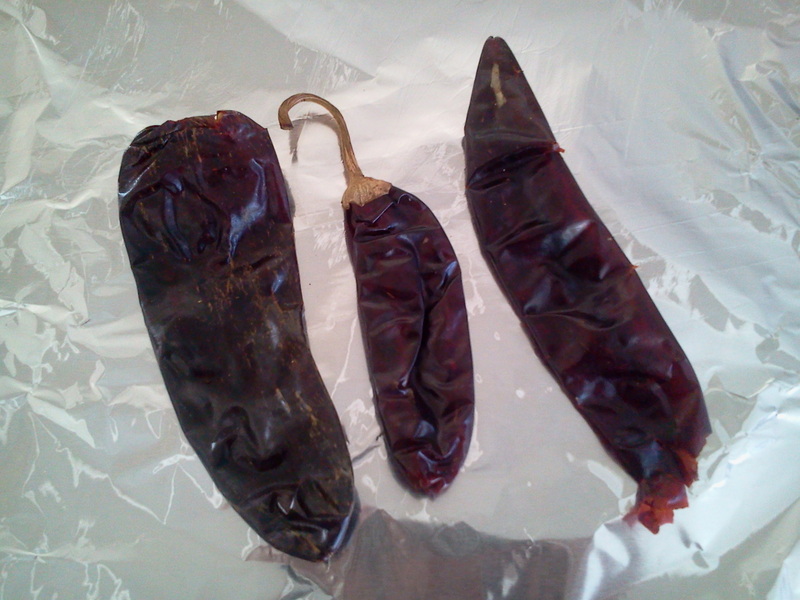 If you plan on having Mexican food at home, you must make these to have on the side. Saute garlic, carrots, onions in a pot on medium high heat for 2-3 minutes. 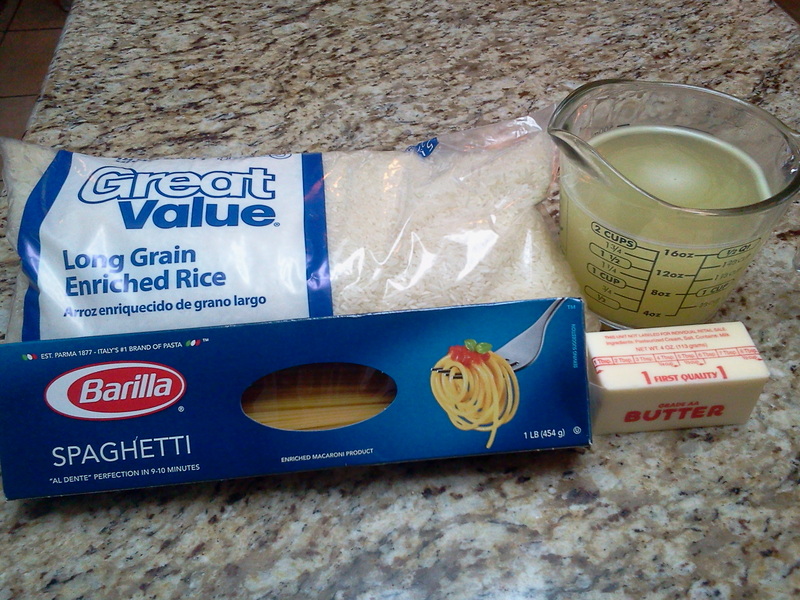 Add the remainder of the ingredients and bring to a roiling boil. Turn off the heat and let cool for 2-3 hours. 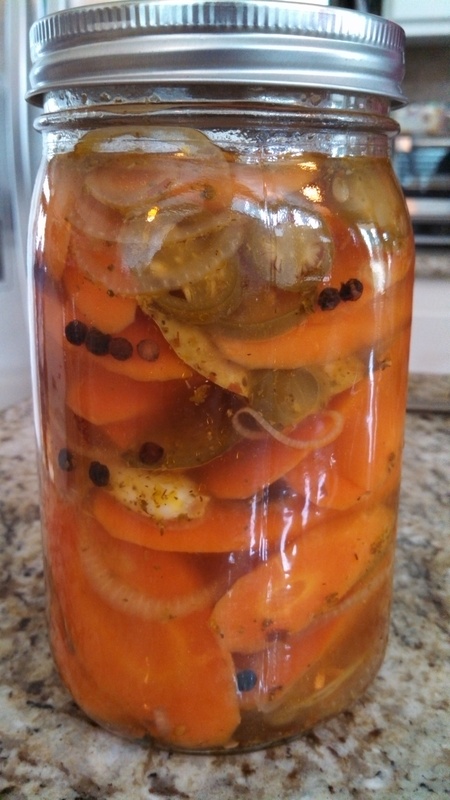 Put into a jar/container and refrigerate for up to 1 week. 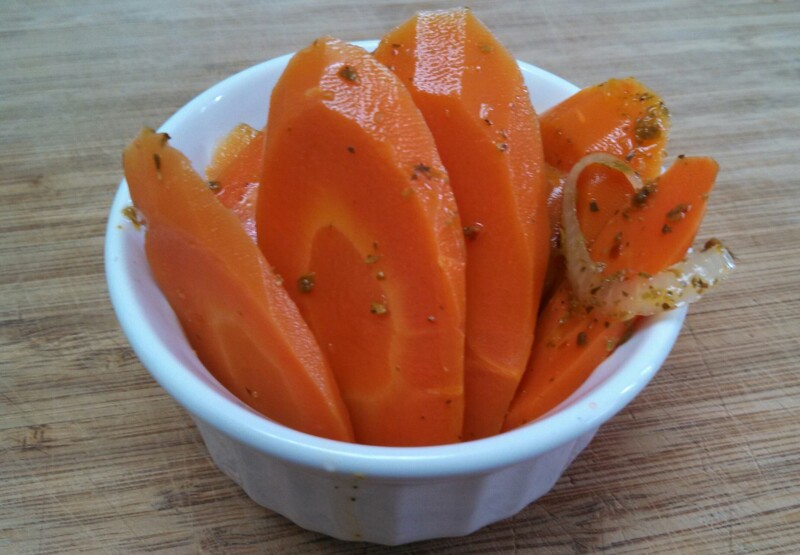 *If you like your carrots on the softer side, let boil for up to 5 minutes, then turn off the heat. Do I think these will last a week in your house? Absolutely not!